I come bearing great news: It’s possible to have SONOS-style music streaming on a Bluetooth budget. 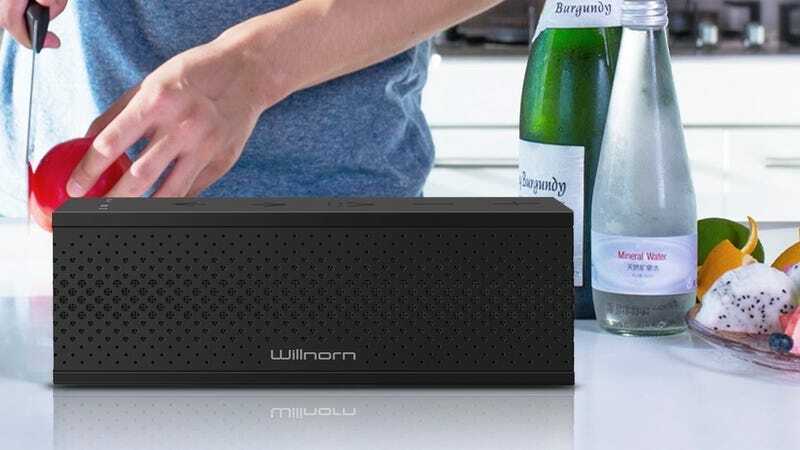 The Willnorn SoundPlus X Wi-Fi speaker is incredibly affordable, works with AirPlay, and lets you sync multiple units together either into stereo pairs, or for seamless multi-room streaming. They won’t sound as good as a SONOS setup, obviously, but multi-room streaming is not easy to find at this price point. For a limited time, you can get one for $18 with promo code HLFWBRL9, or two or more for $16 each with promo code 44DVFSGS. Just add as many as you want to your cart, enter the code and watch the price drop.